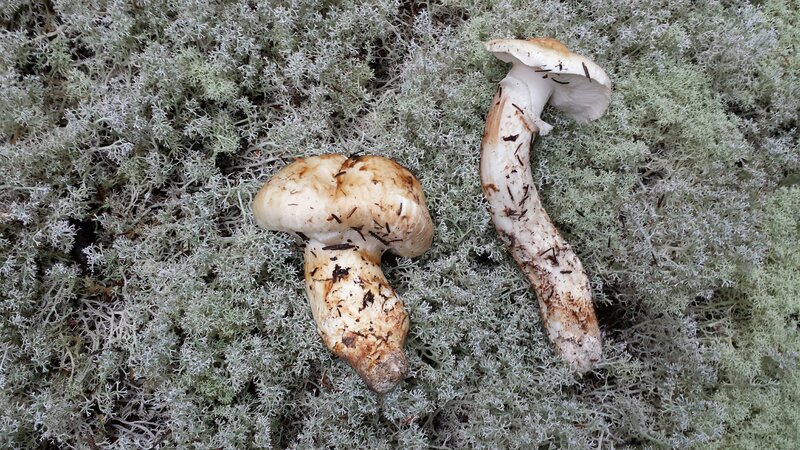 Last post on Matsutake for 2018 is on the not so obvious Maritime matsutake appearing in wet areas sometimes with what seems young spread out conifers or possibly older stunted trees with abundant acidic loving shrubs. You have to wander around and look close to find these ones. Oh, I see some light sandy brown in there. 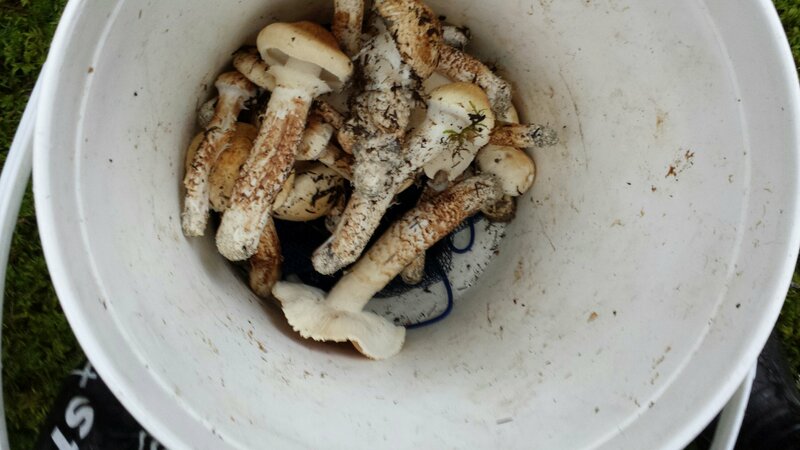 Different Maritime forest terrain then the last post, but under this mixed forest we have once again some nice Matsutake mushrooms. 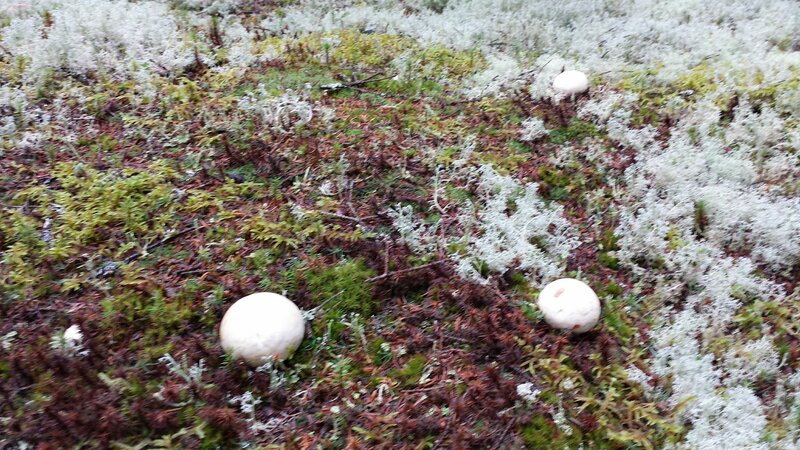 I like this photo as much of the mushroom caps are covered on all 3 of these mushrooms yet from 30 meters you know its Matsutake by the size of the rounded cap and the way the cap has a subtle illumination cloudy or sunny its there. 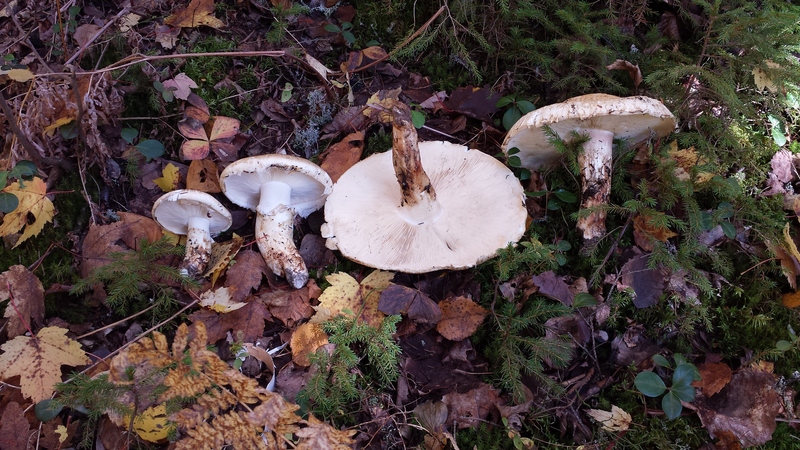 Here we see on the right half some fully open Matsutake the gills on these ones will be turning brown soon. 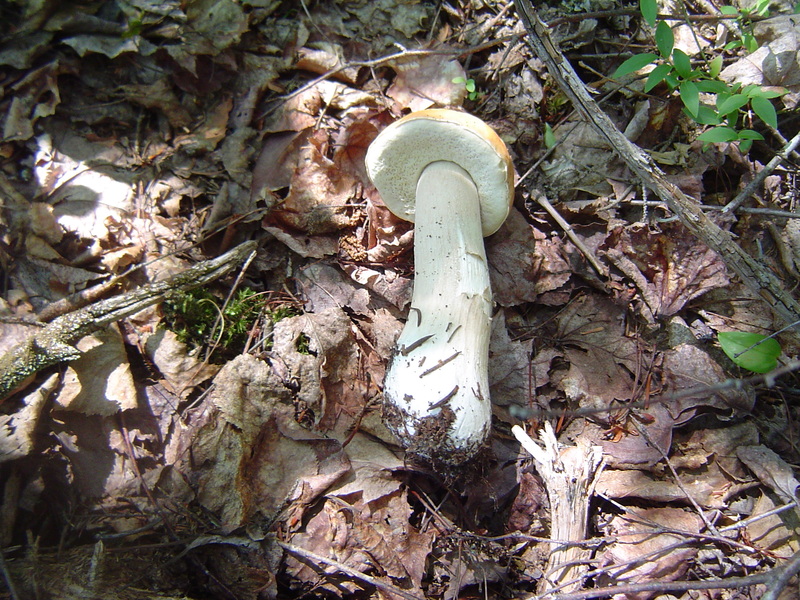 The mushroom you see flip over gills up is a huge one measuring 28 cm across and weighing 1 1/2 lbs, oh what a tasty Matsutake it was. 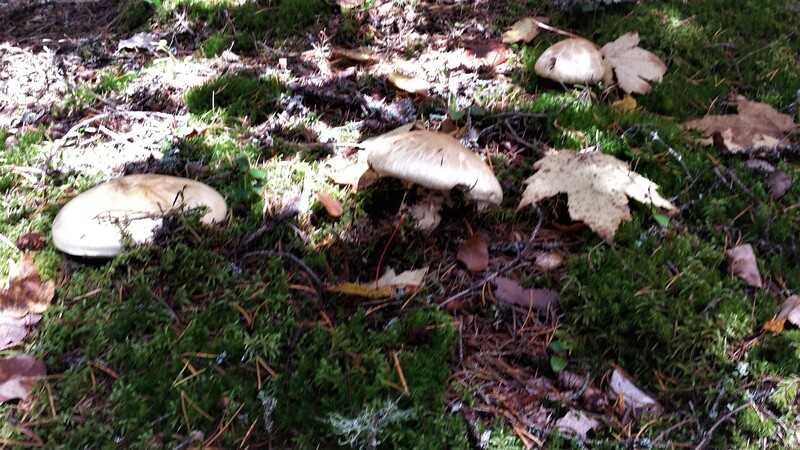 A few photos to share on my favorite fall Tricholoma mushrooms, the matsutake. Here is a look at a young Ramaria rubripermanens with very bright colored branch tips. This is our Maritime version of the Clustered Coral mushroom and is now one of my favorite mushrooms for eating and is rated as a choice edible for good reason. Slightly older mushroom with branches extending some and the tips are fading a bit. Days later the branches can be antler-like and the tips more faded. Mature Ramaria rubripermanens are much more difficult to identify if there are no young mushrooms also present beside them. 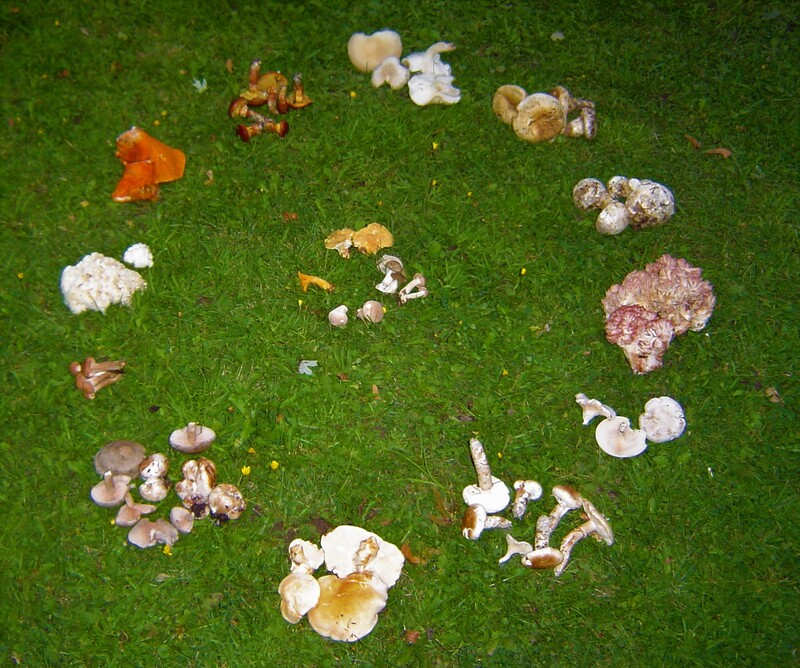 One clue that you are gathering R rubripermanens on older faded out mushrooms is the (base) of the mushroom often have some bright red coloring on both young and older mushrooms. 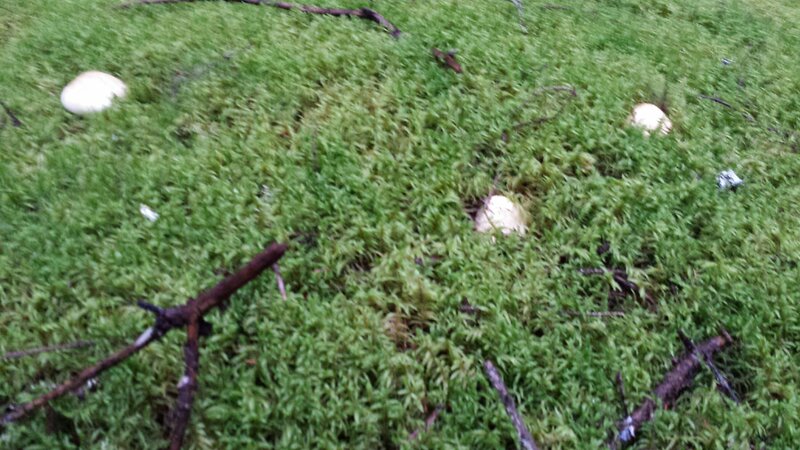 We do have a few other Ramaria in the Maritime provinces with some of them having questionable edibility so gather your big coral mushrooms with care. They can be quite large. Closer look, some claim only the young mushrooms are good eating, I don’t notice much difference in taste between young and mature R rubripermanens, you do need to make sure the base and branch flesh is solid, white in color and not watery or mushy. Over the winter I remember reading about the interesting medicinal and edible Asian plant Gotu kola and was hopeful of taking some time this year to find our close Maritime relative Hydrocotyle americana. One pleasant thing about foraging is being reminded of little projects while foraging for other things as wild mushrooms are my main focus today. Here we have Water Pennywort on the ground with the mint family member Bugleweed towering above. I can’t give any info from my own experience on eating or beverages made from Hydrocotyle americana so I must leave this as just another interesting little plant not well known to share as the more familiar we become with these types of plants, (this one was found on an old woods road in Kent county NB) the more we will be willing to protect them from human over indulgence in our surroundings. We can be conscious of our own gatherings and be aware the impact of some of the other ones going on around us. 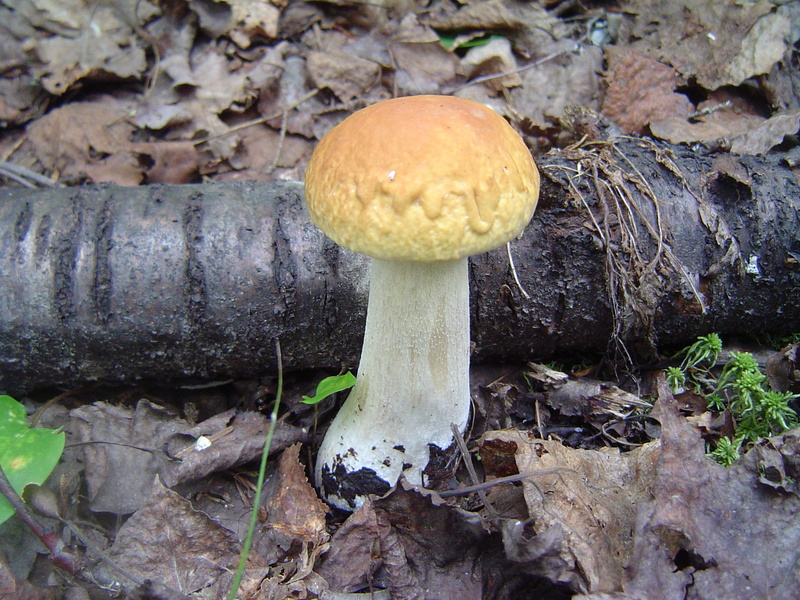 Amanita amerirubescens, not an edible mushroom for beginners. The European Blusher contain a hemolytic protein which can be removed by thorough cooking, in some places they boil and then fry blushers before eating them. Word isn’t out on whether some of the possibly many different North American Blushers have a hemolytic protein in them. 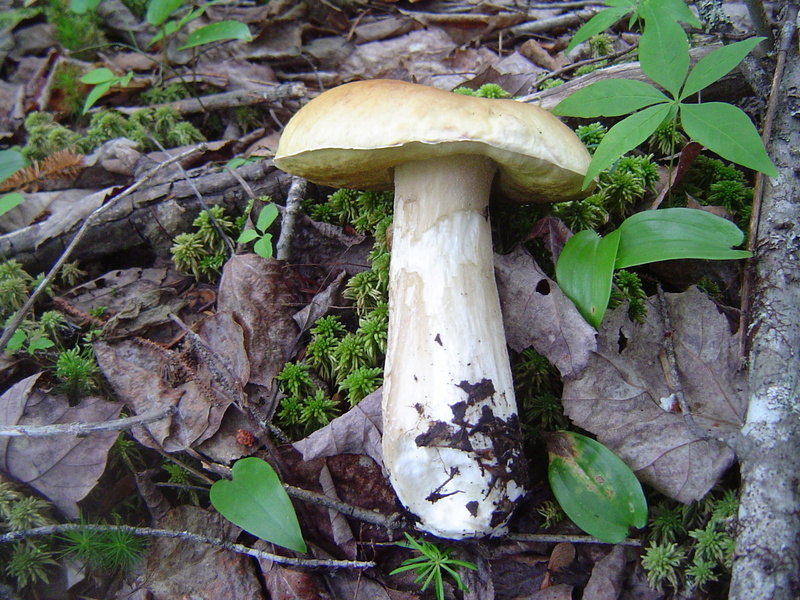 The Blusher is a member of the Amanita family which is famous for having many deadly poisonous mushrooms. 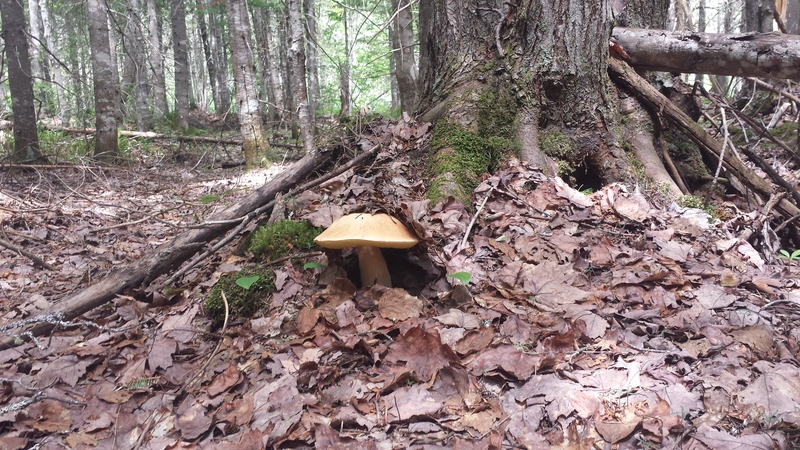 We have a few of these nasty though quite visually striking mushrooms right here in New Brunswick, so you definitely do not want to gather any of these by mistake. 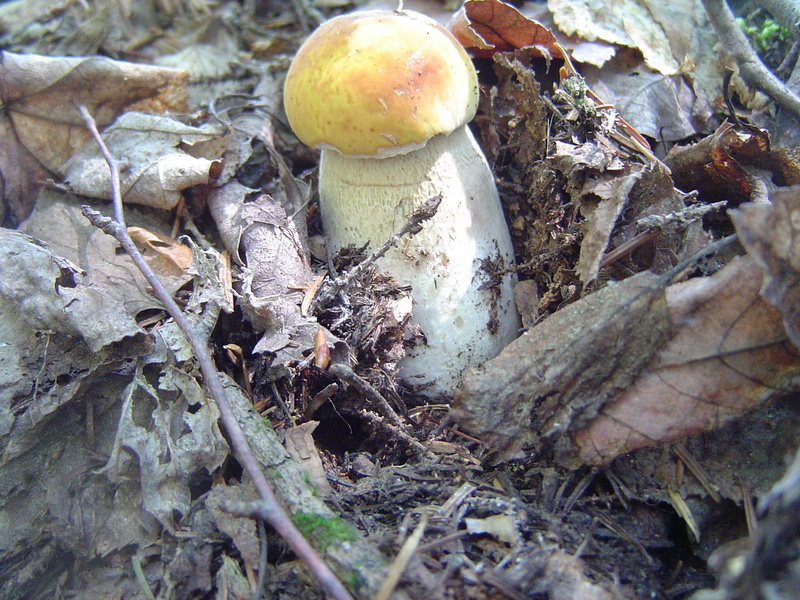 Another reason for concern with our Blusher mushroom is the very similar Yellow Blusher, Amanita flavorubens which is of (unknown edibility) and could easily lead folks astray. 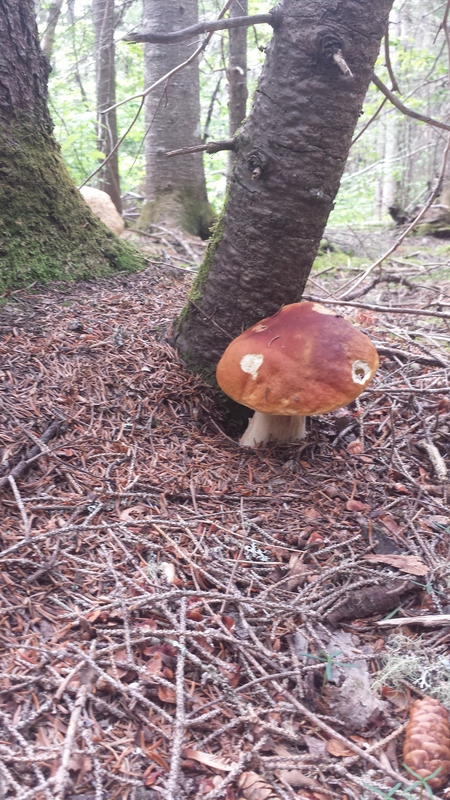 Here is another issue to keep you away, Blushers and some other Amanita mushrooms are often parasitized by Hypomyces hyalinus which is a relative of the lobster mushroom. 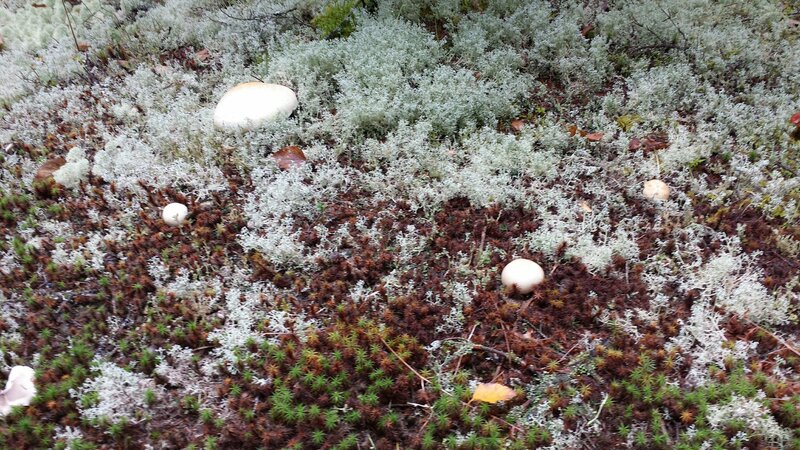 See the mushrooms on the right these are often growing right beside or amongst what appears to be uninfected Blushers. The edibility of Hypomyces hyalinus remains a mystery at this point in history. When they parasitize Blushers usually they still blush at the base but not always. 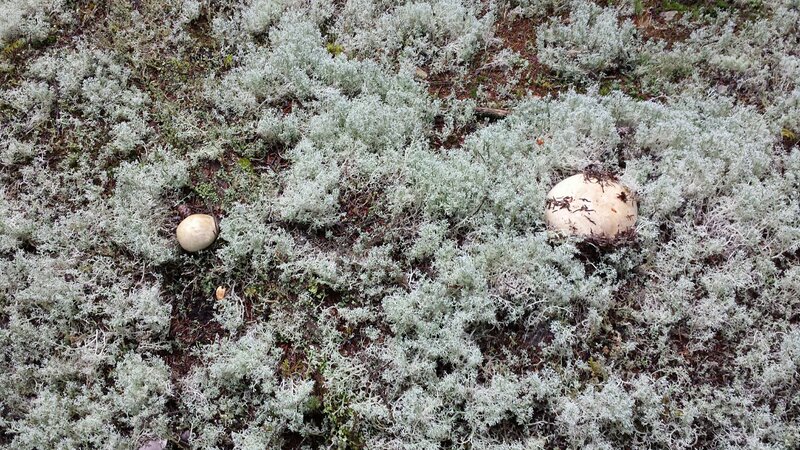 Another reason to stay clear of partial or fully parasitized Blusher mushrooms in New Brunswick. Like I said at the beginning the Blusher is not an edible mushroom for beginners or even folks who have foraged mushrooms for many years. Lots of much easier mushroom for the table around, though I do admit to finding these an interesting mushroom. 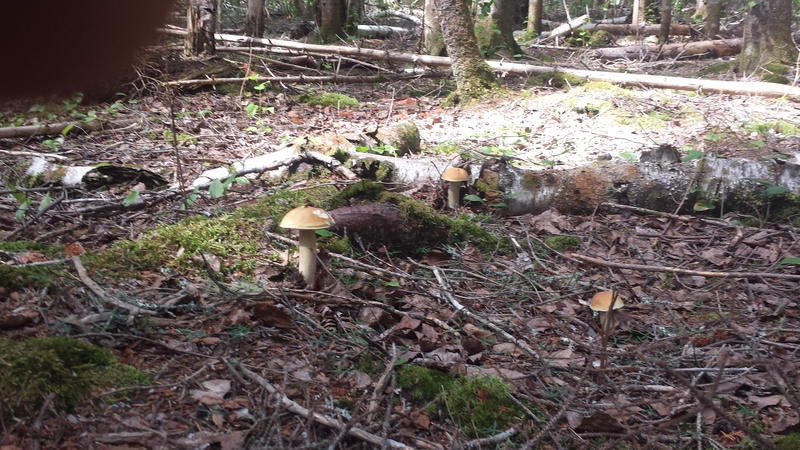 A few mushrooms from the King Bolete group to show you today. These ones were solid, luck is on your side to find them not buggy at this time of the year. Even the buttons have quite meaty stems. 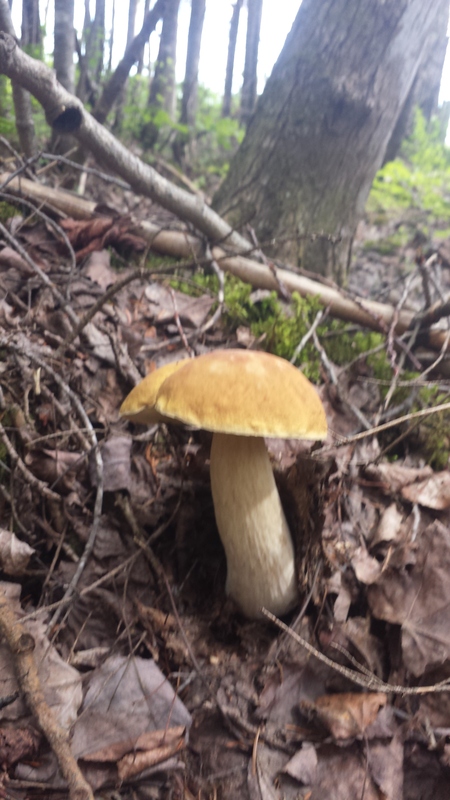 Boletus chippewaensis, beautiful summer mushroom. During July I seen a large area of Tragopogon pratensis which seemed suitable for gathering this plant if I can recall the location for next spring, this post should help:) Often this plant grows very well along roads and railways, the type of places you (do not) want to gather food from. 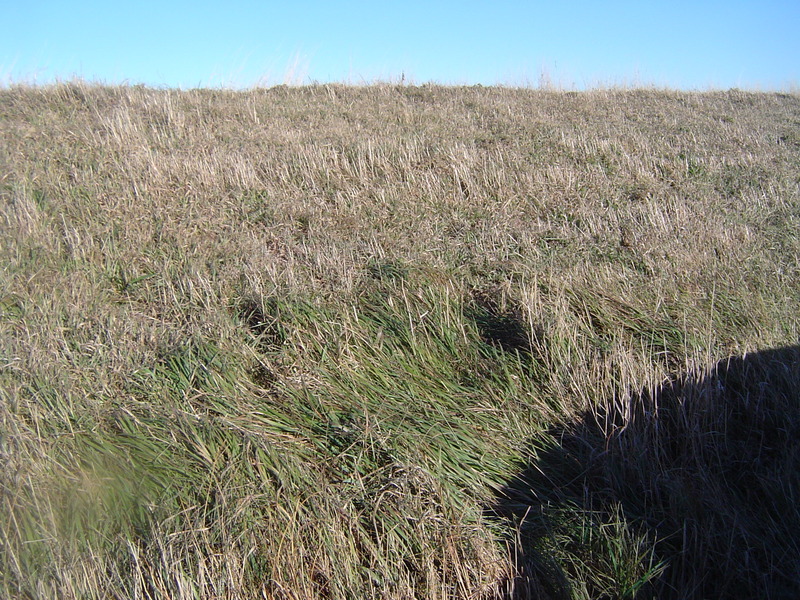 Occasionally T prantensis will also grow in grassy areas along brooks & rivers which can provide for some safe gatherings depending on what is upstream. So since I’m right here right now actually searching for another plant of course lets see if I can find some T pratensis plants amongst the grasses. 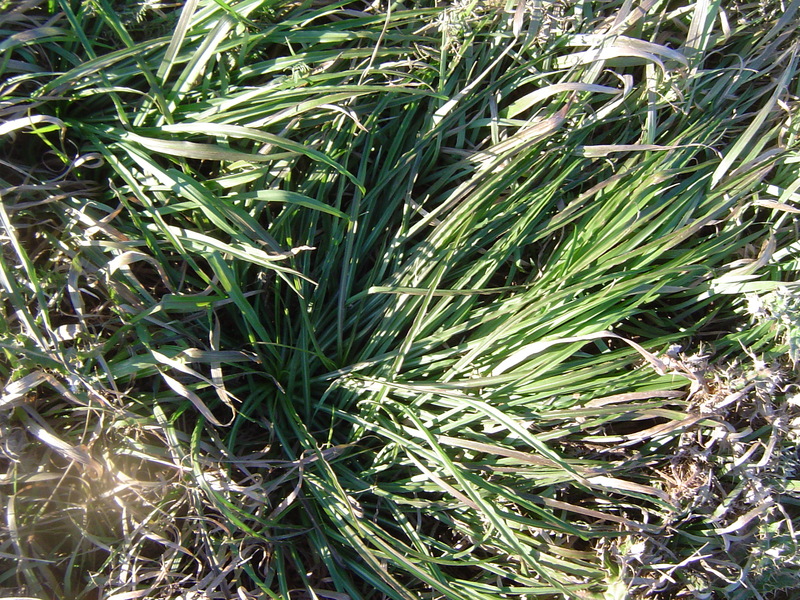 If you look at the green plant leaves to the left of the center of the photo you will see the most dominant plant here which is a grass I can’t identify and to the right of center is a Tragopogon with very similar looking leaves though they are more numerous and you can circle them with your hand and follow them back to root. Usually my main edible interest in this plant are the early spring growth of stems and leaves, today well into November with the temperature near 0 C the greens are less appealing to me so I think it will be time to dig a little deeper and see what the late fall roots look like. 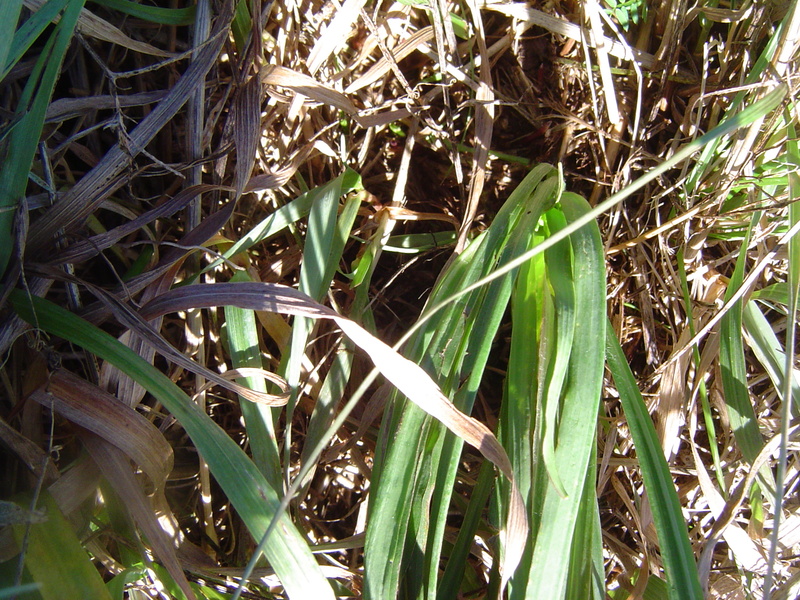 The more numerous and larger leaves should point to the largest roots. These roots were a lot easier to remove from the soil than I expected. Many of these roots the size of a medium carrot. 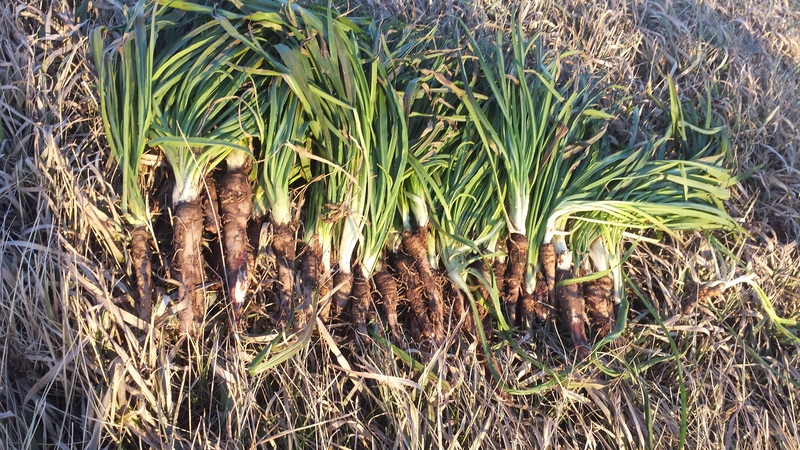 The leaves still are edible and nutritious but are most tender towards the root. 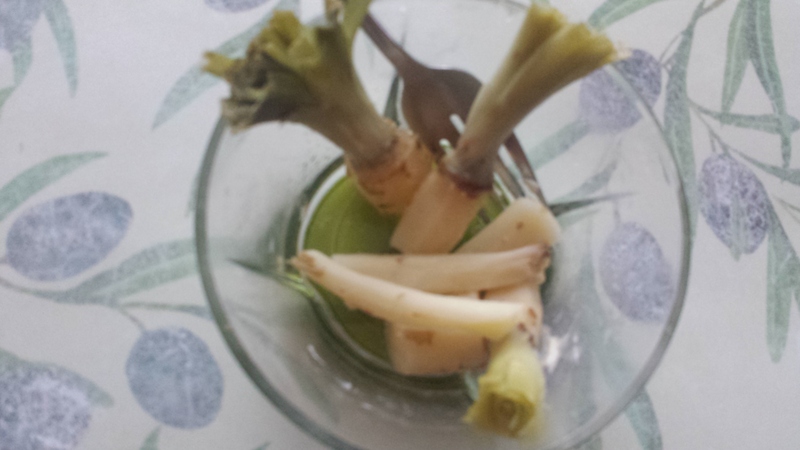 These are one of the better tasting wild roots, as good as most garden vegetables. Like Jerusalem Artichoke and Burdock, Tragopogon pratensis is a member of the Asteraceae family and it also contains inulin in its roots so many may get windy after a good feed of them. Tragopogon pratensis roots boiled for 5 to 7 minutes are very tender, I added butter and a little lemon juice, salt and pepper, very good. 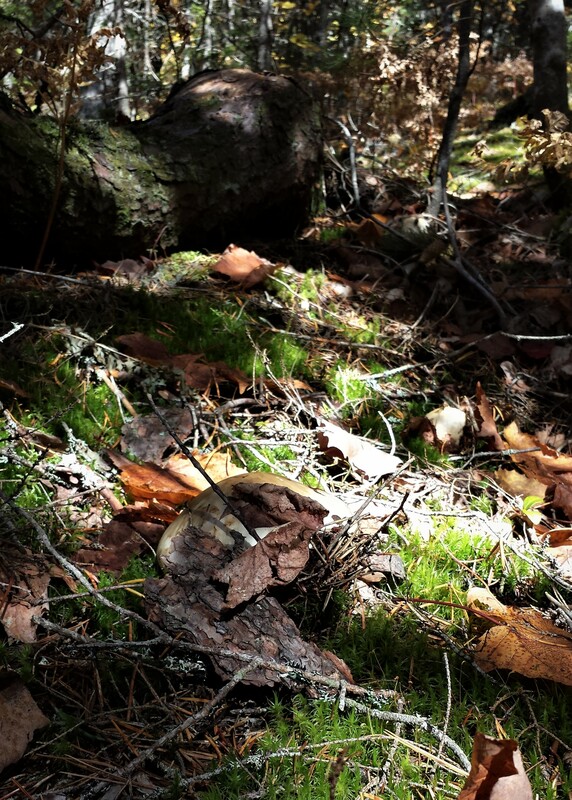 November in New Brunswick Canada can present you with some interesting wild food opportunities. Recently I revisited this field I gathered a variety of wild greens in during June and returned here for tubers and the hope of maybe some winter annual greens. In the photo’s bottom left corner we see a wild radish plant and the rest of the photo features mostly the brown remains of the mint family member Stachys palustris with a few straight beggars tick stems which I attempted to slalom around to avoid getting coated in seeds. Here we see what was just under the soil below the old Stachys palustris plants. Some fine tubers you can eat fresh or cooked or dried and powdered into flour. Of the greens available it was by far the wild radish stealing the show.